One of the more controversial Trump Cabinet nominees, fast-food executive Andrew Puzder, gets his Senate committee hearing Thursday. There and later on the Senate floor, he’ll encounter Republican senators who have enjoyed his generosity over the years. Labor Department nominee Puzder gave $27,000 to senators’ election campaigns in the 2015-16 election cycle, using figures from nonpartisan research group Center for Responsive Politics -- in addition to $272,000 he donated to Republican Party committees. By the tally of another such research outfit, Maplight, which stretches back to 2001, Puzder and his wife, Dee -- along with his company’s political action committee and a trade group that endorsed his nomination, the National Restaurant Association -- gave some $1.2 million to senators, the vast bulk of it to Republicans. 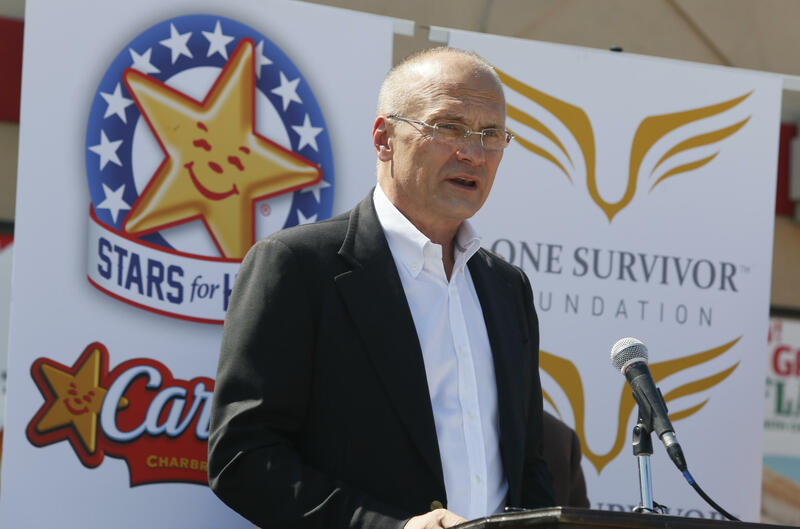 As chief executive of CKE Restaurants, which owns the Hardee’s and Carl’s Jr. chains, Puzder has attracted staunch opposition from Democrats and union groups that label him a foe of worker rights and a $15 mandated federal minimum wage. In his confirmation hearing, Puzder is expected to respond that he’s an opponent of what he characterizes as stifling government regulations that destroy jobs. There’s a longstanding debate over whether campaign contributions are the quid that guarantees a pro quo. Many political scientists and campaign experts don’t contend that a contribution will make an elected official an obedient servant -- but the money, they say, does gain the contributor a friendly reception. According to Maplight, a nonpartisan research firm that tracks money in politics, the top recipient of Puzder’s money, his company’s PAC and the trade group is Sen. Roy Blunt of Missouri at $73,450. Eleven Republican senators that Puzder and these organizations gave to are on the Health, Education, Labor and Pensions Committee, which will hold Thursday’s hearing. Of those, Sen. Richard Burr of North Carolina got the most, $34,000, Maplight said. Requests for comment from the senators’ offices went unanswered. One problem with those donation numbers is that a portion of the totals were from the National Restaurant Association, the trade organization in which Puzder is an active member. But the fact remains that Puzder has been a stalwart financial supporter of Republican lawmakers and the party’s various committees. During the last election cycle, he donated $65,000 to the Republican National Committee and another $182,000 to its ancillary bodies. And the fast-food industry maintains a robust lobbying presence in Washington, D.C.
Puzder’s Senate hearing has been delayed because of the difficulty he has encountered adopting a plan to shed his holdings in CKE, which is owned by a private equity firm. He finally did so last week and furnished the committee with his financial disclosure, which is needed to move the nomination along. President Donald Trump’s Cabinet choices are noted for their wealth, which has allowed many of them to be benefactors to the GOP, according to numbers from the Center for Responsive Politics. During the last election cycle, the new secretary of state, former Exxon Mobil (XOM) chief Rex Tillerson, gave $56,000. Betsy DeVos, who has owned numerous businesses and was just confirmed as the education secretary, contributed $94,200. And billionaire investor Wilbur Ross, awaiting confirmation as commerce secretary, donated $242,000, while Treasury Secretary-designate Steven Mnuchin, a former Wall Streeter, ponied up $275,000.